When you're in need of a Hollywood Car Accident Attorney, call Robert Gluck at the Law Offices of Robert E. Gluck, P.A. He has been representing clients in cases like yours since becoming a lawyer in 1989. He can take on your case and provide you with the legal representation and guidance you need to get you the compensation you deserve. 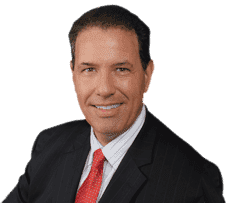 It's important to hire Robert Gluck as your Hollywood Car Accident Attorney as soon as possible after your accident so he can start working on your case. He will gather all the evidence he needs to prove negligence and make sure the at-fault party is held financially responsible for your injuries. When you hire your Hollywood Car Accident Attorney, he will immediately open a full investigation into your claim. He'll start by locating and speaking to witnesses, securing any available video footage, taking photographs of the accident scene, assessing any property damage, and obtaining any other evidence he believes will build a strong case. Robert Gluck is completely dedicated to being a Hollywood Car Accident Attorney you can always depend on to be there for you. He will be by your side every step of the way and make sure you feel at ease. He will keep you updated on the progress of your case and work to get you the compensation you need to pay for your medical expenses.